Healthy lifestyle tips, news, articles, product reviews & more! 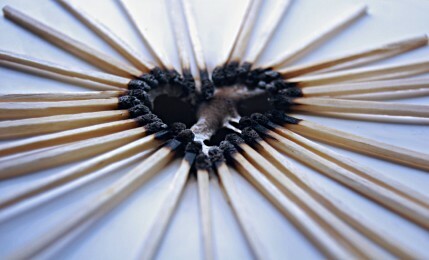 Although the burning feeling in your chest does not have anything to do with your heart, it’s still called heartburn. Heartburn is incredibly frustrating and uncomfortable and takes place in many women, especially when they are pregnant. Keep reading to find out what the safest methods are to treat heartburn during pregnancy. After you’ve eaten something, food travels down a tube between your mouth and stomach, called the esophagus, passing through a muscular valve known as the lower esophageal sphincter or LES. The LES opens so food can pass through the esophagus and enter the stomach, while preventing acid from rising up from the stomach at the same time. However, during acid reflux, the LES relaxes, allowing the stomach acid to rise up and enter the esophagus, causing a burning sensation in your chest area. Hormone changes that normally occur during pregnancy may cause muscles, including the LES, to relax more often. This causes more acid to rise up, especially after you’ve consumed a large meal or when you’re lying down. Furthermore, the growing fetus during the second and third trimesters causes the uterus to expand more, resulting in added pressure on the stomach. This may push food and acid back up into the esophagus as well, causing heartburn. While this is possible as heartburn commonly occurs in most people at certain times of their lives, it may not necessarily indicate pregnancy. Other signs such as missed period, nausea and vomiting are good signs that you are pregnant and that you should take a pregnancy test. This varies among individuals as all women are different and being pregnant may not always mean that you’ll have heartburn. This depends on many factors, such as your diet, your everyday habits, your physiology and pregnancy. The reason pregnancy is often linked with heartburn is that pregnancy increases a woman’s risk of acid reflux or heartburn. Your esophageal muscles may push food much more slowly into the stomach during your first trimester and the stomach may take a longer time to empty as well. This happens so that your body has enough time to absorb more nutrients for the fetus but it may result in acid reflux too. Furthermore, the growth of the baby during the third trimester may push your stomach out of its original position, causing acid reflux and discomfort. Have small, frequent meals, say about 4-6 meals a day instead of 3 large ones. Avoid drinking water while eating and have plenty of water between your meals. Chew your food thoroughly and eat slowly. Have your dinner as early as possible to avoid meals too close to bedtime. 4 to 5 hours before bedtime is a good choice. Avoid heartburn triggers such as fatty foods, spicy food, carbonated drinks, citrus and tomato based foods such as ketchup, caffeine, milk chocolate and acidic foods. Avoid tight-fitting clothing and stick to comfortable outfits. Avoid lying down right after a meal and stay upright for at least an hour. Walking after a meal may facilitate digestion. Sleep on your left side and use pillows to elevate your upper body while lying down. Have some yogurt or a glass of milk right when symptoms begin to kick in as this will ease discomfort. Adding honey to your milk or yogurt can definitely help too. Another option is chamomile tea and honey as both help in relaxing the body and easing heartburn. Always consult your doctor before taking any medication during your pregnancy. Your doctor may allow the use of OTC antacids such as Tums and Maalox to ease symptoms. It’s best to avoid magnesium during the final trimester as these could interfere with your contractions during labor time. In addition, your doctor may ask you to avoid antacids containing high sodium content. Make sure you stay away from antacids and medications with any aluminum on the label as they can cause constipation. Medications containing aspirin are a no as well. See a doctor if you’re taking too many antacids to relieve heartburn as you may be suffering from GERD. In addition, if heartburn affects your daily life or appears to be too severe, see your doctor as soon as possible. DID YOU KNOW? 40-80% of pregnant women will suffer from heartburn.